One of my favorite small home design ideas for warming up the kitchen involves adding an eye-catching display on the kitchen shelf. Personal touches like this just add color to an otherwise monotonous color scheme. 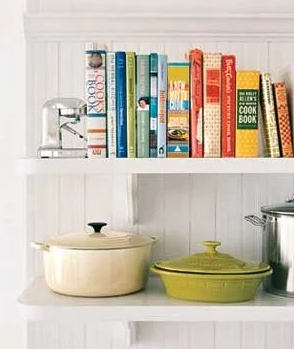 If you have a decent cookbook collection like I do, you want to break them up with other items on the shelf instead of simply stacking or lining them up. Don’t just fill a blank space with the cookbooks. Add some colorful plates, linens, photos and other decorative objects to your cookbook arrangement to create a beautiful display. If you’re like most people who store good silverware, serveware and bone china dinnerware high on a shelf, you can also put these to good use by displaying them in a spot that draws the eyes naturally such as a glass front cabinet or open shelves. There’s just something about a pot rack that adds instant elegance and vintage appeal to a kitchen, no matter the size. A pot rack is not only a beautiful décor; it’s is a must-get if you have little storage space to spare for your pots and pans. 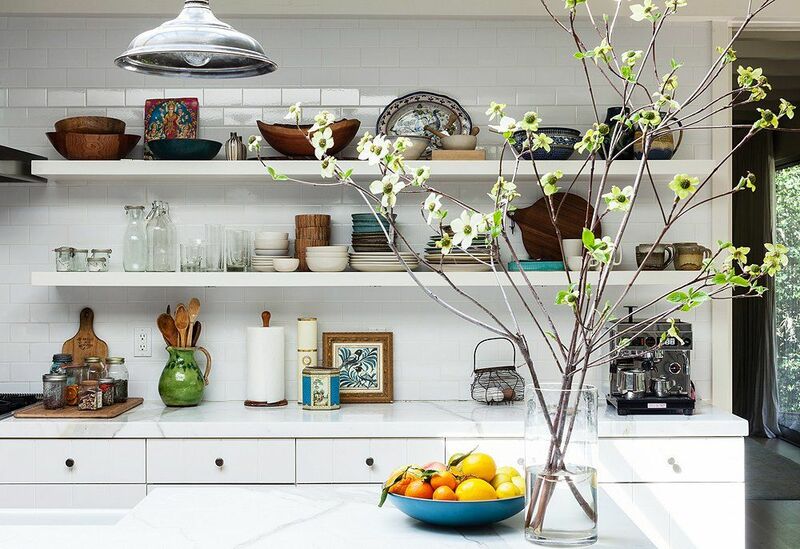 Pots and pans are notorious space hogs and if you want to free up more cabinet space, store them overhead. Pot racks come in different sizes and for small kitchens, opt for a petite pot rack with a good number of hooks. 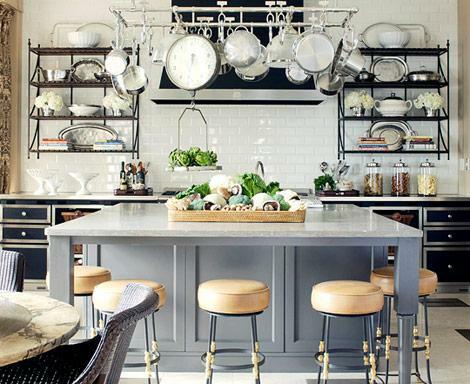 As for the design, pot racks can be mounted on the wall, high on the ceiling, or fit them inside the kitchen cabinet. 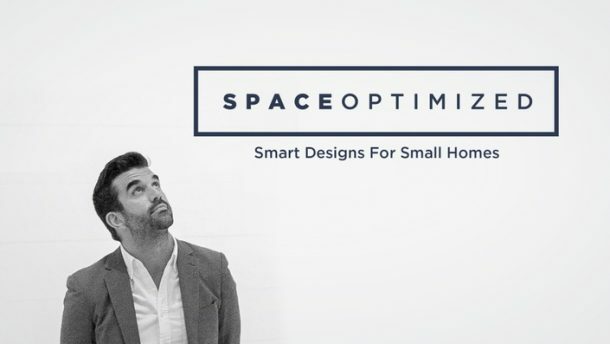 Just go for a design that suits your kitchen style while also maximizing your floor space. Love the look of coordinated storage? If your kitchen boasts display-worthy decanters, decorative tins, canning jars, and retro canisters, don’t hide these in the cupboard! 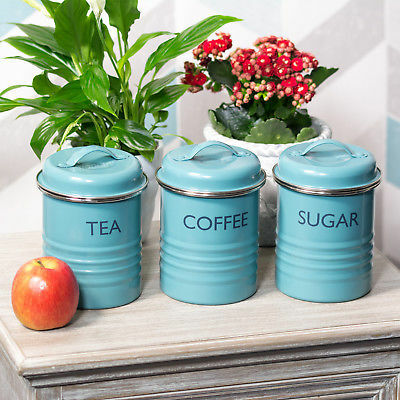 Use these to enhance the look of the kitchen. You can arrange your decanters, glass jars, and vintage tins on the kitchen counter or open shelf to give your kitchen a distinct vintage look! But if say, you’re not into the vintage look and prefers a coordinated, minimalist style, try decanting your dry foods in sleek canister sets. Most rentals allow occupants to paint the rooms, which is a relief if your kitchen’s color scheme is dull and uninteresting. But, painting the whole kitchen can be tiresome if you’re doing it on your own and expensive if you’re getting professional help. My advice is to turn a section of the kitchen wall into a chalkboard wall. 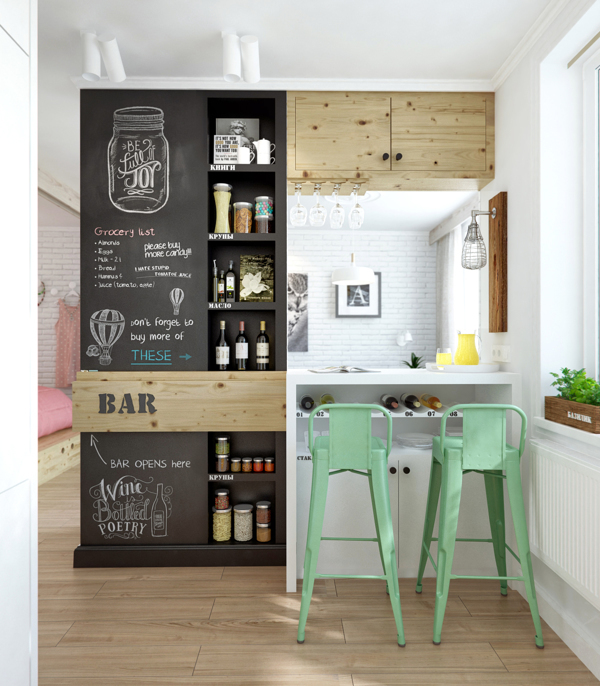 The size of the chalkboard wall could vary to an entire wall or a couple of square feet long. A chalkboard wall works great for tracking your supplies, leaving handy notes, or displaying cool doodles. Since a part of the wall is covered with blackboard paint, you can conceal cooking spills and stains too. Now if say you are not allowed to repaint parts of the wall, you can always hang a chalkboard board to get the same look. 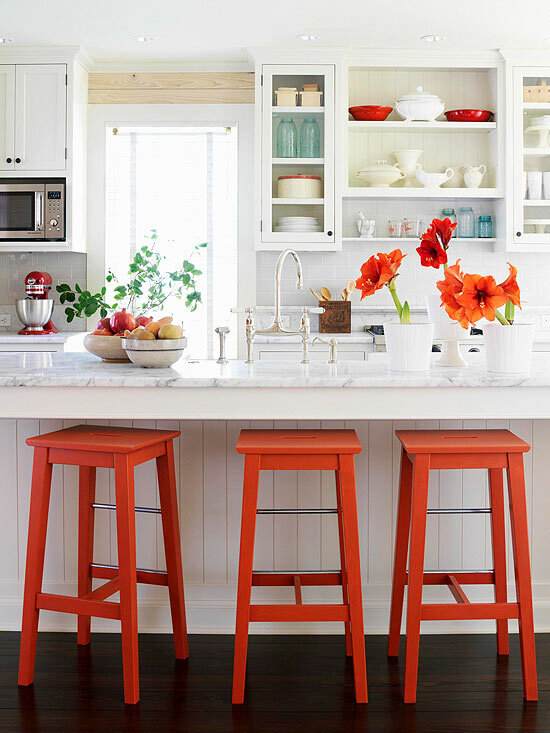 Speaking of giving the kitchen a fresh coat of paint, you can breathe life back to plain cabinets by turning these into a focal point using paint. Again, no need to paint a whole section of the kitchen to add character to the space. 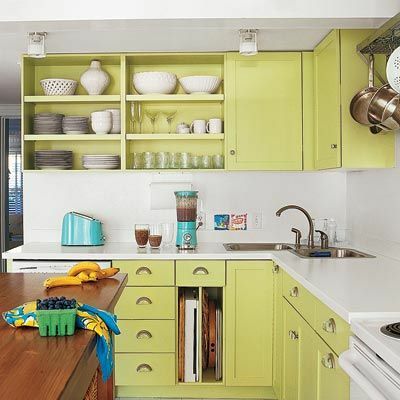 Just paint parts of the cabinet a statement color to refresh your kitchen almost instantly! An accent cabinet adds new energy to the room while giving your kitchen a fabulous new look. The job won’t take a whole weekend to complete on your own. If you’ve always wanted to put an island in the middle of the kitchen but can’t because of the lack of space, here’s a happy compromise: use a rolling kitchen cart! This versatile piece extends the room’s storage space. It also works as a countertop so you have more space for food prep. And when it’s not in use, you can simply stow it away in a blank corner. 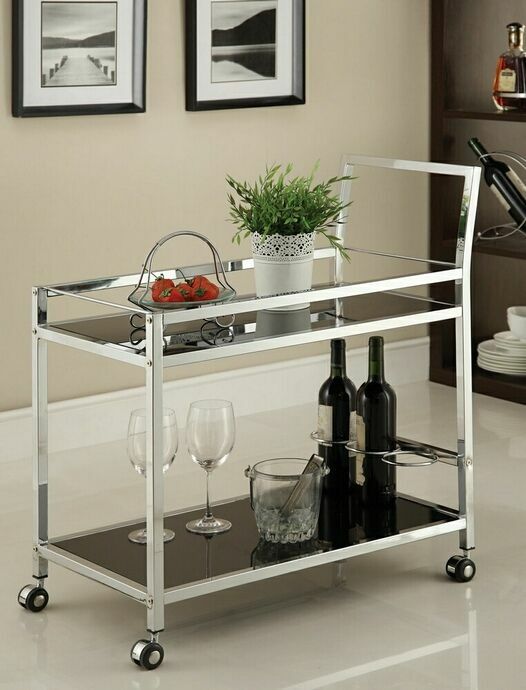 When shopping for a rolling cart, choose one that matches your kitchen to create a cohesive, tailored look. 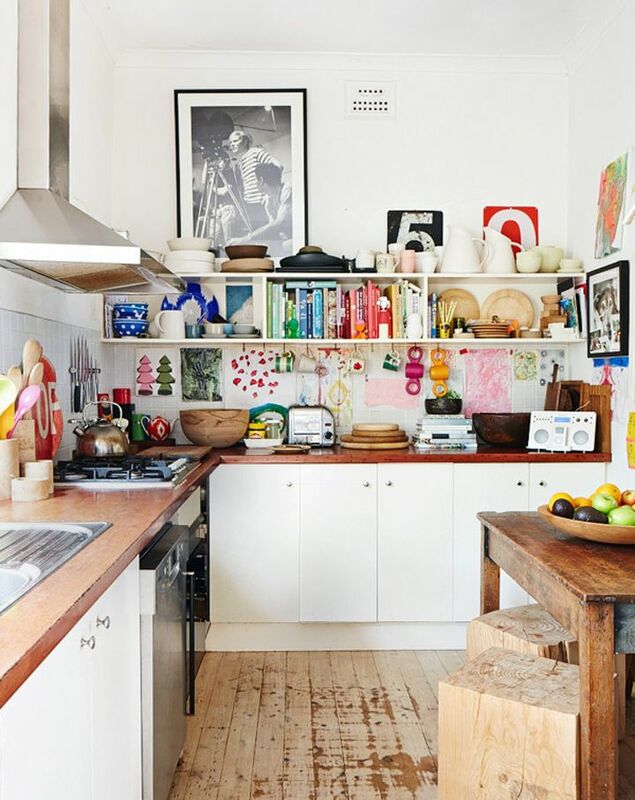 Hanging your favorite artworks in the kitchen is the easiest way to add charm and character to the room. 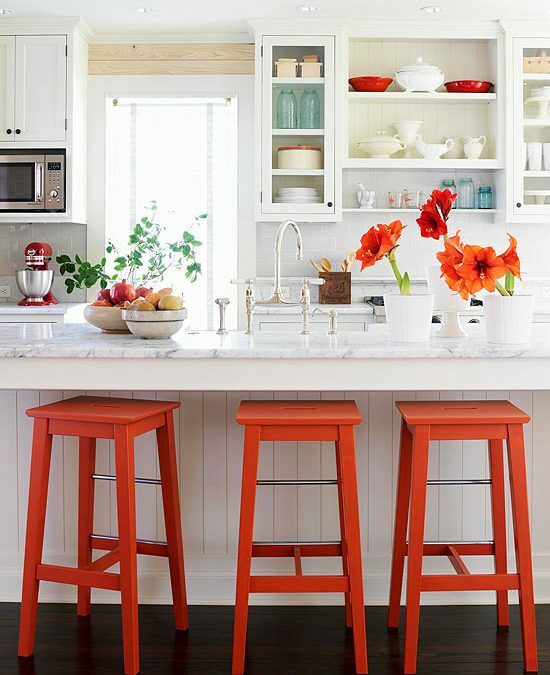 This goes especially for a neutral kitchen that’s in dire need of color. Pick an artwork that works with your color scheme as a whole. Consider the window treatment shades, the color of your cabinets, even the flooring too. 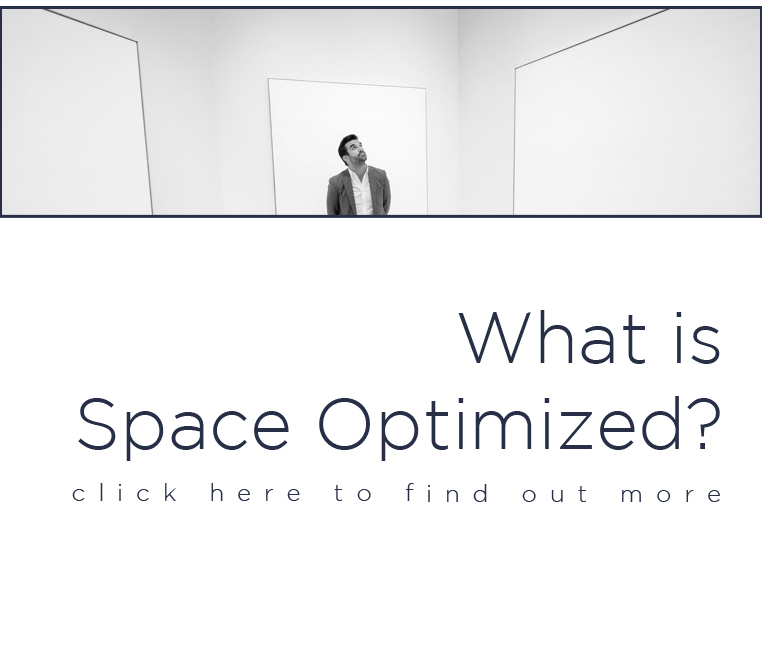 If you have high ceilings, use the space above the cabinets or even the space between the upper and lower cabinets to display your favorite artworks. Some artworks look great when displayed on their own, others look better when grouped with other artworks on a gallery wall. You can also add personality to the kitchen by installing a mirror in a blank wall that separates the room from the dining area. A mirror gives the illusion of space while also giving the kitchen and dining room a touch of elegance. A vase full of colorful blooms, beautiful houseplants, scented candles and potpourris, even a collection of fresh herbs in mason jars makes the perfect statement decor in the kitchen!